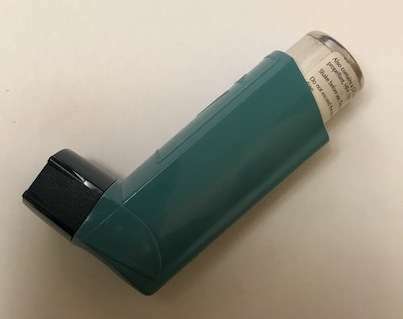 Asthmatic tricks – For the fainthearted . . . The question was reasonable, but disturbing. The words were meant kindly, but did nothing to reassure a sickly child for whom even breathing in an ordinary way was sometimes a challenge. By teenage years came the realisation that whilst very unpleasant, the asthma from which I suffered did not pose a fatal threat. It was never severe enough to require a spell in hospital, rather it nagged away, attacking unexpectedly, undermining confidence, creating a persistent state of uncertainty. In days at the special school to which I was sent, available medications were not as plentiful as now and were administered sparingly. A teacher called Mr Light taught us deep breathing exercises. Each morning we gathered on the tennis court, or in the gym, standing in lines as he called out the instructions for the inhalation and exhalation of air and the swinging of arms and flexing of the body. His philosophy was that the first response to everything should be deep breathing. In addition to the daily exercises, Mr Light supervised the cross country runs over Hameldown on Dartmoor, watching boys in white tee shirts and blue shorts crossing the hillside from the comfort of his Datsun car. (One Saturday morning, a group of soldiers in combat fatigues passed us on the open moor; we thought that men who were allowed to run in full army kit had an easy time compared to us in light cotton tops and shorts). 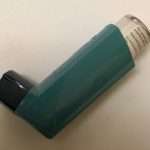 Staying at a sister’s house last night, there was a shortage of breath that warned of an impending asthma attack. Searching my bag, there was the realisation that the Ventolin inhaler that would bring immediate relief was outside in the car. It was cold and dark and there was no inclination to get dressed and to go outside. The wheeziness intensified and it reached the point where there was no option other than to put on a pullover and jeans over the pyjamas and to pull on a pair of shoes and to venture out. The fresh night air filled the lungs and there was an immediate feeling of relief. By the time the car was reached, the breathing was easy. Picking up a Ventolin inhaler and going back to the house, there was a sense of reassurance. The asthma disappeared completely. The night was passed without another cough or wheeze. Mr Light would have said I should have remembered the breathing exercises.